New flagship smartphone from Apple is due for launch in a week time and the most talked smartphone of the year, popularly known as iPhone 8 is going to be one of the best smartphone available in the market. Like every single one of its, iPhones Apple launches upcoming iPhone 8 which is set for a September 12th launch is expected to have a lot of change one can normally assume about smartphones. But the biggest thing about the Apple is they are known for taking the bold decisions. As we have seen with iPhone 7 launch Apple has removed one of the most loved features of iPhone or any smartphone, i.e. the headphone jack. Similarly, iPhone8 or iPhone X (edition) is expected to drop another loved feature of iPhone. As per the recent reports by AppleInsider, Cupertino tech giant filed a patent which shows that the company it is working on perfecting the technology of on-screen fingerprint sensor. While the tech giant has almost mastered the technology, the iPhone 8, which is also Apple's tenth-anniversary edition, will be giving the much-awaited the fingerprint sensor feature a miss, as per a Forbes report. The fingerprint scanner was first introduced on iPhone 5S and was popularly used by device owner for security purpose. Just like Samsung, Apple was unable to get the technology perfected in time before its 2017 flagship. After failing to integrate the on-screen fingerprint sensor, Apple doubled up its facial ID recognition system and dropped Touch ID entirely. How will Apple's new fingerprint sensor work? The acoustic system sends out a pulse which can pass through a second layer (“substrate”) and this, in turn, is reflected back to the piezoelectric transducers which determine the image of whatever object is touching the substrate. The ridges and valleys of the fingerprint create acoustic boundaries that will now allow them to be told apart. Apple intends to regulate the technology that will need high voltages. For this purpose, Apple's technology will control the drive signal, voltage bias and ground reference for each unit, for its “active sensor”. 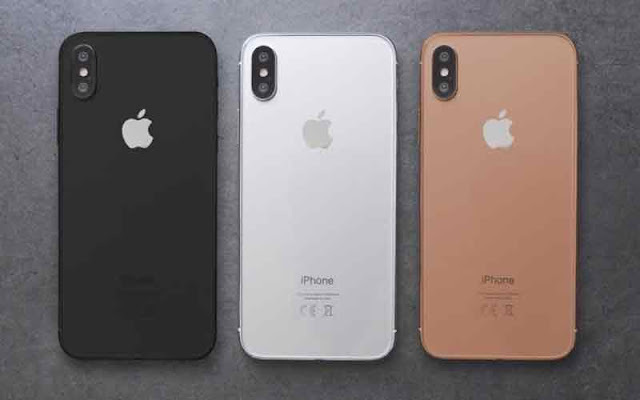 If you are a iPhone enthusiasts and is expected the feature to be included in this year iPhone than you may get disappointed in the 12th September launch event. If you want the feature on your device then you can expect Apple's on-screen fingerprint reader to roll out with Samsung’s upcoming Galaxy s9 or Note 9 in 2018, or Apple’s next year iPhone upgrade.